You can use the effective and reliable carpet cleaning services which we offer in Hampstead to restore the good condition of your soft floor coverings. The work of our staff is professional and is conducted with the help of powerful machines and preliminary tested detergents and sprays. 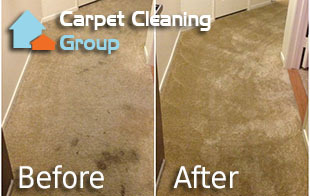 Stains, darkening and allergens get in the fabric and spread in the air every time the carpets has been stepped on. Our cleaning technicians are supplied with the latest and most efficient vacuum and steam cleaning machines which they use. The end results of their work are perfectly sanitised and refreshed carpet fabrics. If you need assistance with the removal of the grime, stains, allergens and dirt from your Persian or other kind of carpet, use our services. The cleaners in our company carry out close inspection, testing of the detergents and removing of the furniture and items from the carpet. They vacuum clean it after spraying dirty areas on it. Then, our staff carry out hot or cold water extraction using professional machines and cleaning solution with the necessary concentration. We deodorise the cleaned carpets after completing all cleaning procedures. The carpet cleaning services which we offer in Hampstead can be used by homeowners, holders of business estates and tenants. Regardless of the condition and type of the carpets that you have in your home, work place, hotel and other kind of property, our staff can sanitise them effectively. They apply the latest and most effective machines, preparations and tools for steam cleaning of carpets which guarantee removal of all allergens and grime. The carpet cleaning which you will receive from our company, based in Hampstead, includes free quotations, inspection and deodorisation.